What a fabulous find! 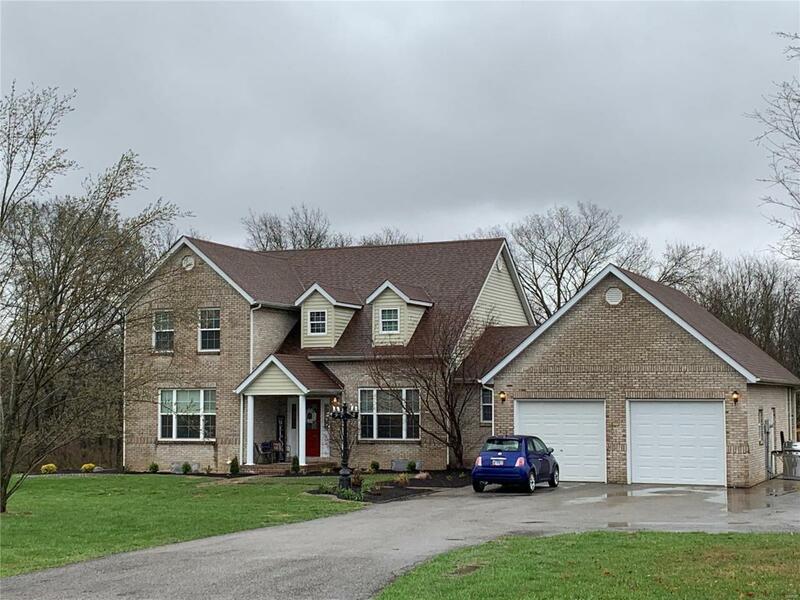 Features 5 bedrooms, 4 bathroom on nearly 5 acres in O'Fallon school district, this house is a true gem! This home also boasts an outbuilding with separate electric hook up as well and enough parking for 5 cars, RV's etc on the paved driveway. Inside the home you are greeted with the brand new gleaming hardwood floors throughout the main living areas. Boasting a large living room, dining room, 2 story great room and supersized kitchen with a TON of cabinets, this home also houses the master bedroom on-suite on the main level. The upper level homes 3 additional bedrooms and full bathroom. The lower level also walks out and houses an additional bedroom, office, family room, full bathroom and additional storage room. The amenities do not stop there! There is also a pool with a built around deck that is great for all of those social gatherings. This one will not last! Schedule your appt today!